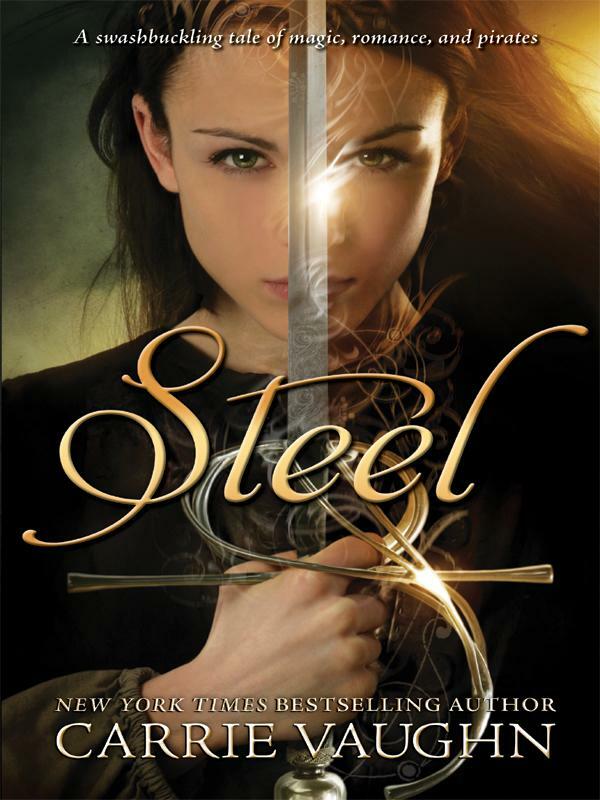 Steel is an historical fantasy about a girl who is thrown into the past and who desperately wishes to return to what she did not appreciate until she thought it was lost. It is an action-filled coming-of-age story set in beautiful Bahamas on the Diana, captained by Marjorie Cooper. It is a story about choices, and how those choices define us. What Steel is NOT, is a swashbuckling romance. A large wave surged under them then, sending the boat rocking steeply. Jill, the world-class athlete who’d never yet lost her balance in a fencing bout, fell. Stumbling back, she hit the side of the boat and went over. Grabbing uselessly for the edge, she rolled into the ocean. …. Waves pitched her, her sunglasses were torn away, the water was cold, shocking after the tropical air. She couldn’t catch her breath – swallowed water instead. Flailing, she searched for up, groped for the surface – couldn’t find it. Her lungs were tightening. It had been sunny a moment ago – where was the sun? Someone grabbed her. Hands twisted into her clothing and pulled her into the air. She clutched at her rescuers, gasped for air, heaving deep breaths that tasted of brine, slimy and salty. But she was out of the water. She was safe. She wasn’t going to die. Many people talk about pirates as if they lived a romantic life. Many historical eras seem to leave people longing for them. But there was nothing to wish for in days that were usually all about survival. Marjorie Cooper is the Captain of the pirate ship Jill ends up on. Cooper and the rest of the crew quickly realize that Jill is completely clueless about everything that has to do with a pirate’s life. Suspicions about her being a spy for Edmund Blane (another pirate) are soon squashed by her ineptitude. Even fencing, a sport Jill thought she excelled at, was of a whole different caliber in the Bahamas in the late 1800’s. Jill could only shake her head – no, she’d never fought for blood. Not real blood. Only ranks, medals, and maybe a college scholarship. She bowed her head, embarrassed, when tears fell. She wiped them away quickly. Her still-wet hair stuck to her cheeks. Salt water crusted her clothing. However much she wanted to sit down, pass out – or drop the rapier, which she wouldn’t have been able to raise again if Henry came at her in another attack – she remained standing before the captain, as straight as she could, which wasn’t very at moment. “Jill. Jill Archer,” she said, her voice scratching. She only just noticed that she was thirsty. Slowly, Jill learns what it means to be a pirate and also what it means to be an adult. Basically, that meant work. The kind that left her little time and energy to plan, to regret or to think about her family. Wood had to be kept free of mold, sails had to be mended, ropes had to be spliced, the ship had to be emptied, barnacles removed and repeat. During a beaching of the Diana for barnacle removal, the ship’s prisorner, Doctor Emory, tried to signal his friends in the hope that they would see his signal and rescue him. Having signed their articles, Jill does not feel the same way. In part that is because of Marjorie Cooper, who wasn’t as bad as many of her crew. She rescued slaves but also looted the “enemy”. Battles were fought and magic rapier tips kept on appearing. During a large part of the story, the Diana chased Blane while Jill became more and more integrated into the crew. Often, Jill found herself thinking that she should tell her siblings, Tom and Mandy about her experiences. She wonders if her family misses her. She regrets her moping, when, really, there was nothing to mope about. Slowly she goes from being an unaware, privileged, white, middle-class girl to learning some of life’s more difficult lessons. One is that very little in life can be taken for granted. A difficult lesson to learn is that when you feel helpless it is easier to follow orders you do not understand rather than to disobey. What happens when a point that seems like one of no return appears? What then? Jill learns what obsession looks like and how it brings danger to others. She learns about the dire consequences some choices have and how some of those consequences reach far into the future to bring a 16-year old girl into the past to right them.